why cant u just make first person view option? It'good that u made bots and stuff but this game needs first person view! Thrid person doesnt make a game uniqe there is other shooters with third person view and they are all shoddy crap, just like this will be in TPS. TPS view for multiplayer shooter is really stupid, dev doesnt realise this? I have no idea what you're talking about... since I prefer TPS over FPS. There are many fantastic TPS shooters out there, maybe its YOU who has a crappy taste in games. If you really want to make a tps, make the animations better, please. The gameplay is good, but the walking animations are somewhat weird. Video showing Assault! 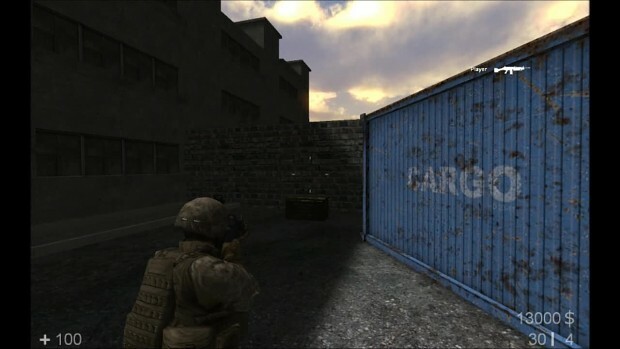 V0.85 (August 2011) new level AS_Warehouse and Single Player Mode! Play against up to four bots!